Heavy rains triggered massive landslide near Kurseong in Darjeeling district of West Bengal. The landslide took place in Paglajhora some 9 km Kurseong. Incidentally, Paglajhora lies between Ghayabari and Mahanadi on National Highway 55. 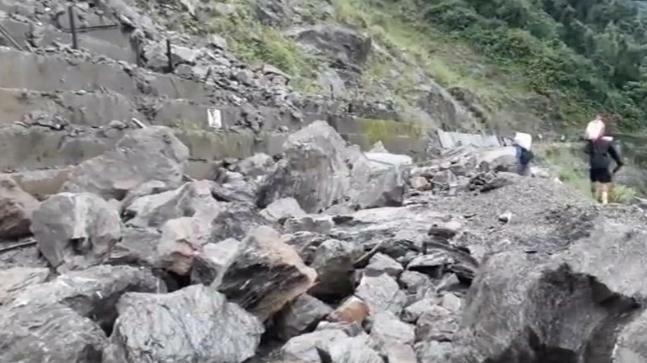 The landslide has blocked the national highway that connects the plains with Darjeeling hills and also the Himalayan railway services. The landslide took place at around 3 pm.